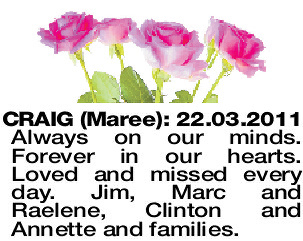 CRAIG (MAREE) 22.03.2011 Always on our minds. Forever in our hearts. Loved and missed every day. Jim, Marc and Raelene, Clinton and Annette and families.